Usually I’d totally dismiss any breakfast cereal containing chocolate. They’re often the most unhealthy, packed with refined sugars and high in calories. Definitely not the best way to start the day. But here is an exception. 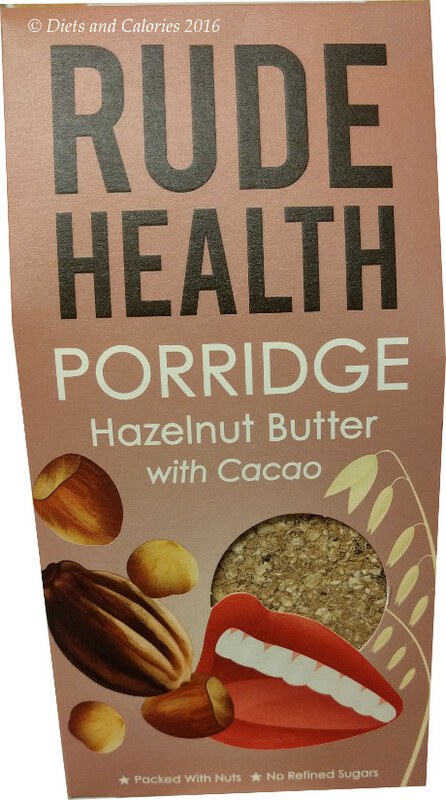 Rude Health have brought out a gorgeous hazelnut porridge which is packed with nuts and cacao nibs and incredibly, it’s low in sugar! If you love chocolate and hazelnuts, I'm sure you'll like this. I spotted this box of Rude Health porridge in a branch of Whole Foods and knew I had to buy it. I’d been making my own version of bircher muesli with oats, nut butter, nut milk and cacao powder which my children love. It’s eaten cold in the morning after soaking in the fridge the night before. 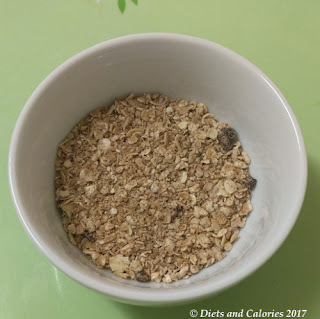 But I don’t always remember to do this or don’t have time, so thought this Rude Health Muesli could be a compromise they can easily make themselves. I only bought it after checking the nutritional ingredients. I was amazed at the low sugar. 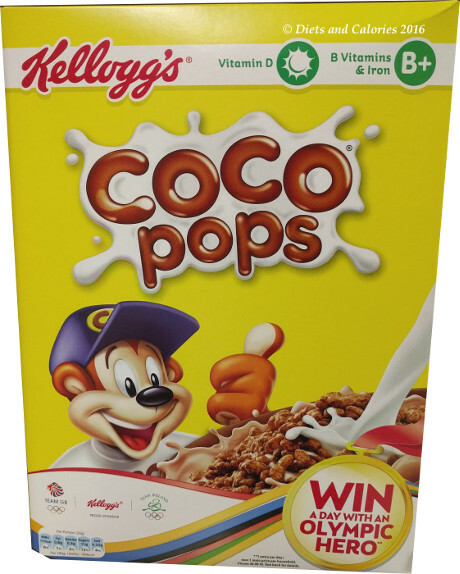 Only 3.7g per 100g (less than a teaspoon) which firmly puts it in the low sugar category. It’s simple to make. Just add half a cup of porridge (50g), a cup of water or favourite milk, and cook for 3-4 minutes in a pan or in the microwave for 1-3 minutes. Made with water this comes to around 230 calories. I have to say I was surprised at how delicious this porridge was. I do have a sweet tooth but despite the low sugar content, the coconut sugar provides just enough sweetness to counter any bitterness of the cacao. It’s turns a lovely chocolately colour and the cacao nibs manage to remain crunchy after cooking. This is a lovely healthy breakfast that I’m happy for my kids to have in the morning. But even better, THEY are more than happy to tuck into a bowl of this porridge in the morning and after school! Nutritionally, it’s high in fibre and protein which is ideal for keeping hunger pangs away. 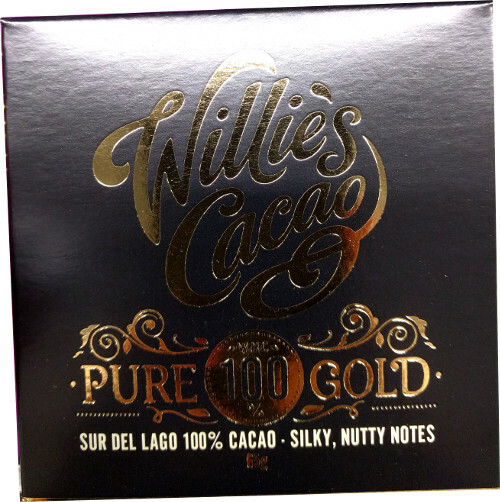 It is also high in fat, which comes from the nuts and cacao. While it does bring the calorie content up, these are the healthy sort of fats (from plants). Fats are needed to absorb fat soluble vitamins (A, D, E and K) and it does help slow down the digestion process so keeping you fuller for longer. Additionally, cacao is now classed as a ‘superfood’ as it contains high levels of antioxidants amongst other nutrients, and has no added sugar. 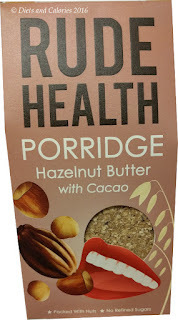 Rude Health porridge is available in a 300g box and a porridge pot. The 300g box holds enough for 6 servings. It’s new so not widely available yet. However, I see Sainsbury’s are selling the porridge pot version. Hooray. At the time of writing it’s £1.00 for a 50g pot. Available in Wholefoods stores and Sainsbury’s. It’s also available on Amazon for £4.96. Hopefully it will be available more widely in other supermarkets soon! 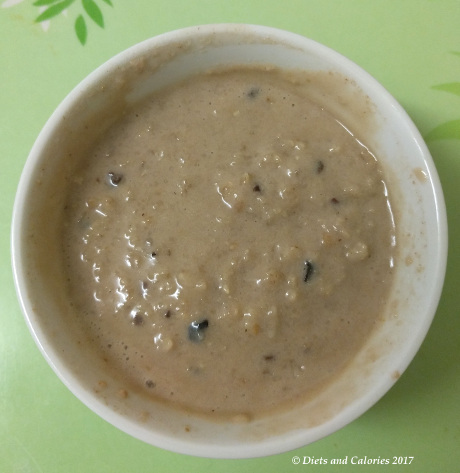 Porridge Oats, Finely ground roasted hazelnuts (24%), coconut blossom sugar, raw cacao nibs (7%), raw cacao powder (2%), vanilla, sea salt. Vegetarian society approved. 460 calories (230 calories for a 50g serving made with water), 24.3g fat, 6g saturated fat, 43.1g carbs, 3.7g sugars, 11.8g fibre, 11.4g protein, 0.1g salt. 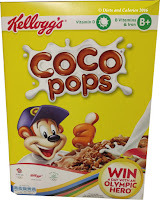 Top 12 Low Sugar Breakfast Cereals - Rude Health Porridge Hazelnut Butter with Cacao makes it onto my Top low sugar breakfast Cereals List – Read Post.